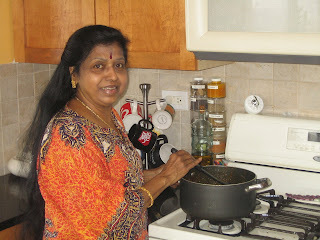 My mother-in-law is visiting and made a fantastic, easy curry that some of you might want to try out. 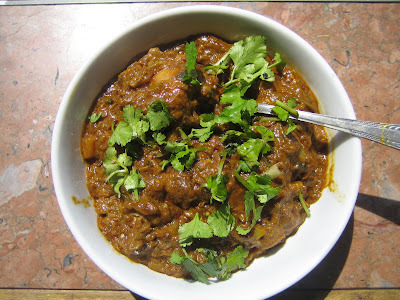 I'd never used eggplant in my chicken curry, but this was an eye-opener. This is a non-traditional side-dish, which can be served with rice or flat breads. It had an interesting Italian element to it all - perhaps thanks to the eggplant. I just found out about your blog - and have been drooling since! Lots of good stuff here for me to try out. This curry turned out awesome. I chopped the eggplant really small and it therefore melted into the sauce and we hardly could taste it. I did add in a tomato but I think the madras curry paste made fresh made all the difference. Thank you for this recipe. It is a keeper - and a sure way to add in some veggies. Apple pie is fun to make! Of course, this resulted in the kids clamoring for us to cook up Apple Pies! Watch this space!